gift your clients right this holiday season. When it comes to branding your business, the internal experience should be just as thoughtfully created as the external one. This means that the amount of love and energy you put into your client and customer relationships—once they’ve signed on the dotted the line or hit the buy button—has to equal, if not be more than, what you put into your marketing and sales efforts. The truth is, every client, customer, or follower makes up a key piece of your growing tribe. They are the ones who will rave about your work and become loyalists for life. So with that in mind, it’s critical to create a loving, supportive, and appreciative space for them to get to know and interact with you. From the first welcome email to the initial onboarding process to throwing in a surprise gift here and there, all of these little touch points will go a long way and build a solid relationship. The best part? You can make client care all your own. In fact, you should add your own style and flavor to it because that’s who you are. So be sure to use copy, colors, and imagery that are completely aligned with your brand. With the holiday season here, it’s the perfect time to get creative and consider how you’d like to show your clients some love. A postcard? A bar of chocolate? A personal video? What could you do to make them feel appreciated? This year, I’ve decided to send snail mail since that kind of gesture has always stuck out in my mind over the years. And because who doesn’t like opening up their mailbox to find a holiday card or treat, right? Naturally, I’ve been spending the past few weeks getting this whole she-bang organized, and wanted to share a few tips on how to send your beloved clients something the old fashioned way too. When I first started my business, I didn’t build capturing mailing addresses into the flow of my client onboarding. It wasn’t until recently that I started to get organized and built a legit client address database. One thing that has been hugely helpful in pulling this together is using an amazing platform called Postable. You create an account, send your clients a link, and then they’re prompted to fill out a super short form that includes their mailing address, birthdays, and even the names of significant others. From there, you have the power to automatically send birthday cards and send bulk holiday cards. Perfect for anyone who is a solopreneur! Once you’ve gathered the mailing addresses, it’s time to decide how much you want to spend per client. Perhaps it’s $5.00. Perhaps it’s $20. If you have a lower budget, a holiday card with a personalized message is perfect. 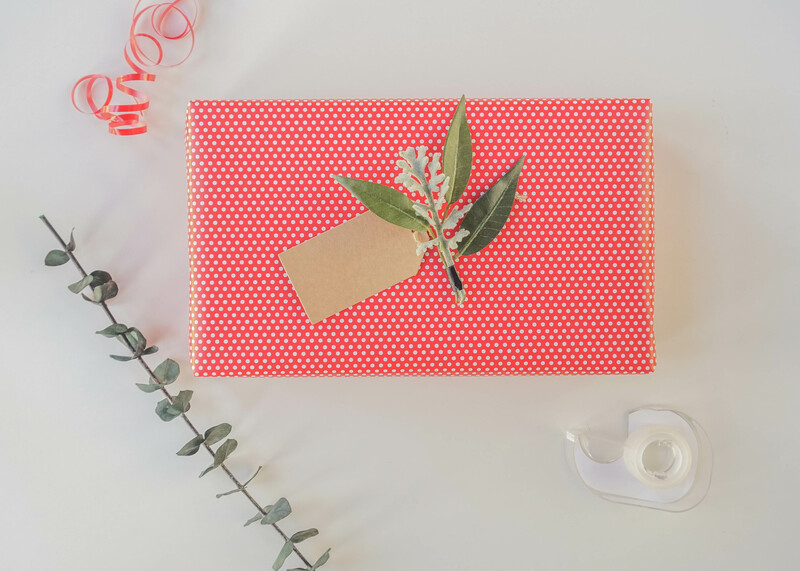 If you have a bigger budget, a holiday card plus a treat like dark chocolate, a mini holiday candle, or even a gift card could be the perfect little extra to mail off to your clients. If you have both male and female clients, be sure that what you send is gender neutral of course! But above all, you want your gift to be reflective of your brand. Since we’re all in the wellness, personal development, or creative space, something that promotes self-care would be an easy way to go. To get your creative juices flowing, here are few gift ideas that I’ve been tossing around. Freaking Health Chocolate Bars. Superfood chocolate, $8/bar. The Universe Has Your Back Card Deck by Gabby Bernstein. 52 cards, $12. A Motivational Mug. Create a custom message, $15-$20. Herbivore Bath Salts or Skin Care Products. An affordable and clean skincare line, $12-$20. No matter what your budget, as long as you send a little something with love, your clients and customers will feel more connected to you, your work, and your mission. I’d love to hear in the comments below what kind of gifts or sweet gestures you’ve sent to your clients. Your creativity and insight are always welcome!